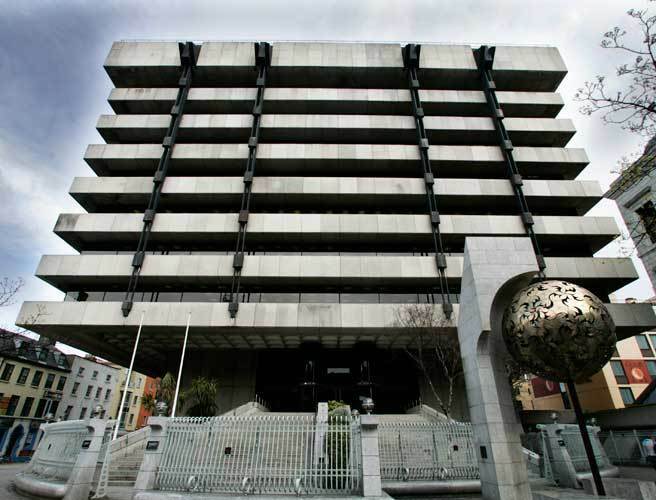 The Central Bank of Ireland, along with the Banking Regulator, presided over the greatest cataclysm in Irish banking history. Even today, they purport to oversee a dysfunctional system that has effectively devolved into a duopoly with little competition and no choice for consumers. They have done nothing to assist struggling homeowners on variable mortgages who are getting fleeced by these same state owned banks. And they have done little or nothing to stimulate the banking market, encourage banks to lend to small businesses and consumers or promote economic recovery. Even an untrained observer could tell you that this adds up to a pretty poor performance. Thankfully for the Central Bank that doesn’t matter since they are the ones who decide how well they’re performing. And each year since 2010, when they introduced a new performance management system, they have awarded themselves top marks – 88% for the year 2013. It helps that they set their own targets and then conduct the performance evaluations internally with no impartial input. This self-adjudged stellar performance means all 1,400 staff will enjoy an extra day’s holidays in the coming year. This, in an organisation where most staff work an average 32 hour week and get 29 days holidays as standard! This entry was posted in Banking, Economy, Ireland and tagged banking regulator, bonuses, Central bank, Holidays, Ireland, performance reviews. Bookmark the permalink. But only one of those will ever result in prosecution! I think I will introduce the same system to my College course, I’ll tell the person grading my essays that they need not bother as I will be grading all my essays and exams myself from now on. They stick it to us in so many ways. We have just one ATM in town, half the time it doesn’t work. AIB closed so now we have just BOI. And they now want to charge you, me and BUSINESSES for bringing in bagged change. Why? I did the work, they have a scale that weighs and says if I was right or not. 1 second’s work. I’ve been saving change for years – if I’d have known this was a new thing I’d have cashed it in beforehand. I think we’ve been waiting two months now for a refund on a mortgage overcharge. So we can’t pay the mortgage on time because they owe us our own money back. Enjoy that bonus, ye bloodsucking arseholes. Oh god sorry. That really got you incensed. They do have a lot to learn about customer service. The unfortunate thing is that until there is more competition, they won’t need to. It’s a trigger, for sure. I’m sick and tired of being poor. The bankers just want to keep us there, it seems. Even to the smallest thing of saving up your loose change. It hurts.